We are experiencing the fourth industrial revolution, stage marked by the penetration of social networks, artificial intelligence, robotics, nanotechnology, the internet of things, quantum computing, biotechnology, 3D printing, autonomous vehicles and companies In our country increasingly exposed to a globalized world, they must catch up with world trends if they want to survive on a demanding planet. This is why more and more people talk about the need for digital transformation (DT) in companies. The challenge is big, because you tend to think that the DT is simply changing the paper by the computer or putting online things that were previously offline. In order to transfer the DT path, it is necessary to consider several important aspects that go beyond the false belief of the simple “systematization of processes”. The first and perhaps the most important is the reformulation of the mission and vision of the company. This is required since DNA must include that new seed that is expected to germinate in the near future. The second is to define the strategic objectives of the company and within these objectives consider the technological tools to be used to achieve them more efficiently and optimally. The third step is to incorporate new forms of work that optimize the resources of the company. At this point when talking about resources we are talking about all available resources: internal staff, contractors, customers, suppliers and even robots. Within the proposed forms of work it is recommended to set up a dual organizational model where the hierarchical model and the netarchical model coexist. The fourth step is to iterate, review, maintain, correct and continue to evolve. 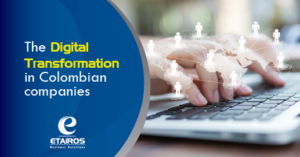 At the end of all this process, we will realize that the Digital Transformation is really a cultural change, which should be led by all the top managers of the companies (the so-called C-levels) and by the Management. It is a mistake then to expect the DT to be led only by the systems area, because this implies a total change in the way of thinking of the organization. The DT at the end of the day is what defines us as an organization, how we interact internally among collaborators, how we communicate with our customers and with our suppliers, how we achieve that our products and services are at the forefront not only of technology but also of the social impact they have; how we manage to make jobs multiply for humans because we find new needs that robots and machines can not supply. In short, the DT is a whole compendium of new ways of doing things and in our country we have a very big challenge because we still keep practices of the first, second and third industrial revolution. 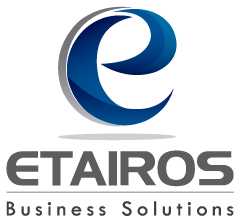 The world keeps turning and every time it does it faster, our invitation from Etairos is that we join this trend, not because of “fashion” but because of a need to evolve. If you want to know how we can walk this road, do not hesitate to ask us; surely together we can solve all your doubts.